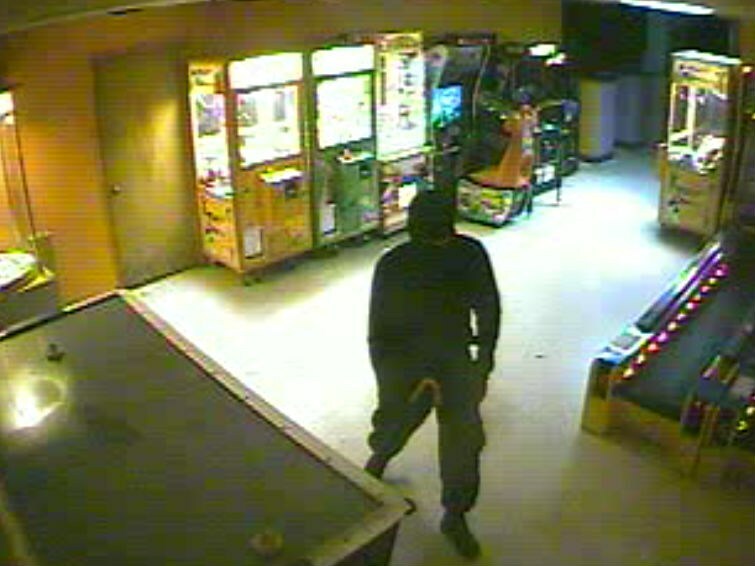 Police release photos of suspect in Moncks Corner bowling alley burglary | Crime Stoppers of the Lowcountry: 554-1111 | 1-888-CRIME-SC | Anonymous tips earn cash rewards with Crime Stoppers of the Lowcountry. MONCKS CORNER, SC (WCSC) - Moncks Corner Police Department has released surveillance photos of a suspect who broke into a bowling alley and stole a safe earlier this month. Police were called out to Swamp Fox Bowling Lanes located at 312 R.C. Dennis Blvd on Thursday, July 11 around 8:30 a.m. after a safe was found missing from the front office. According to an incident report, surveillance video shows a suspect walking around with a crowbar inside the bowling alley around 1:55 a.m.
Police say it appears the suspect entered the business through a side door which was originally locked shut with a board. Pry marks were spotted on the side door, and the board was found on the ground. No other doors were damaged, officers say. The report states the suspect then unplugged a surveillance camera before unbolting the safe from the concrete floor and using a handtruck from the kitchen to transport the safe outside the side door. The dial that is used to unlock the safe was found on the floor in the office, police say. Officers say the only things missing from the business were the safe and the handtruck. Video shows the suspect wearing a ski mask, camouflage pants, and gloves.